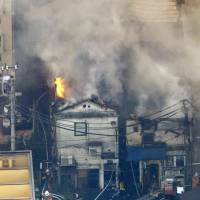 A fire that broke out Tuesday in the Golden Gai entertainment district in the Kabukicho district in Shinjuku Ward, Tokyo, destroyed four buildings and left at least one person injured. The fire also caused power to be cut to hundreds of businesses and homes. 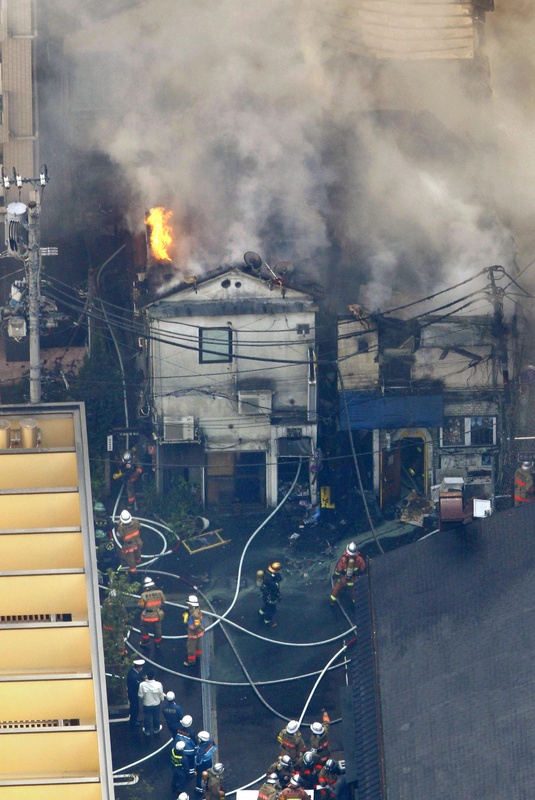 The Tokyo Fire Department dispatched more than 30 firetrucks to battle the blaze, which started on the first floor of an old building at about 1:30 p.m. and quickly spread to five other structures. 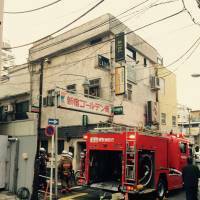 A woman in her 60s was taken to a hospital suffering from minor smoke inhalation, according to public broadcaster NHK. 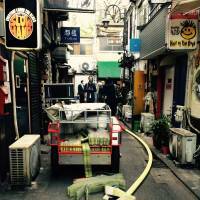 The area is home to many small bars densely clustered along six narrow alleyways. Many of the buildings are just a few meters wide. Four wooden buildings comprising 500 sq. 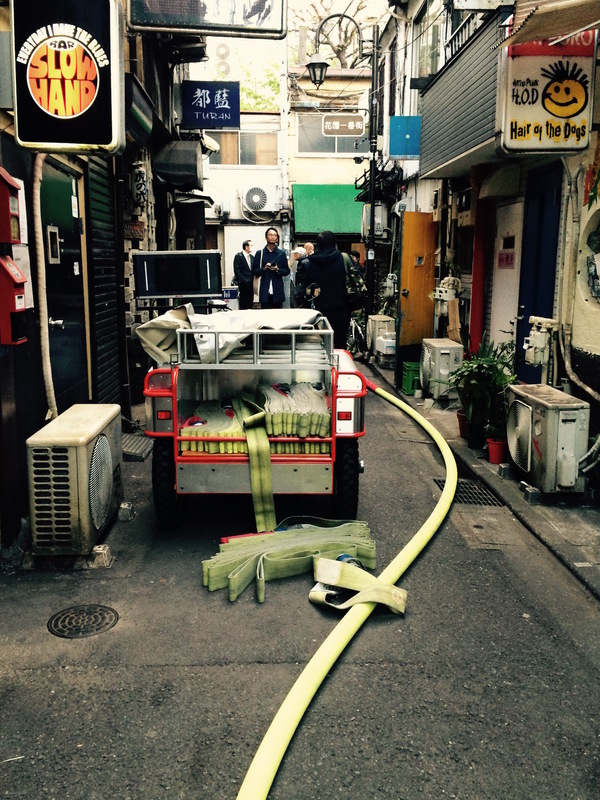 meters were destroyed, NHK reported, quoting fire department officials. As of late Tuesday, the fire was contained. Its cause had yet to be determined. 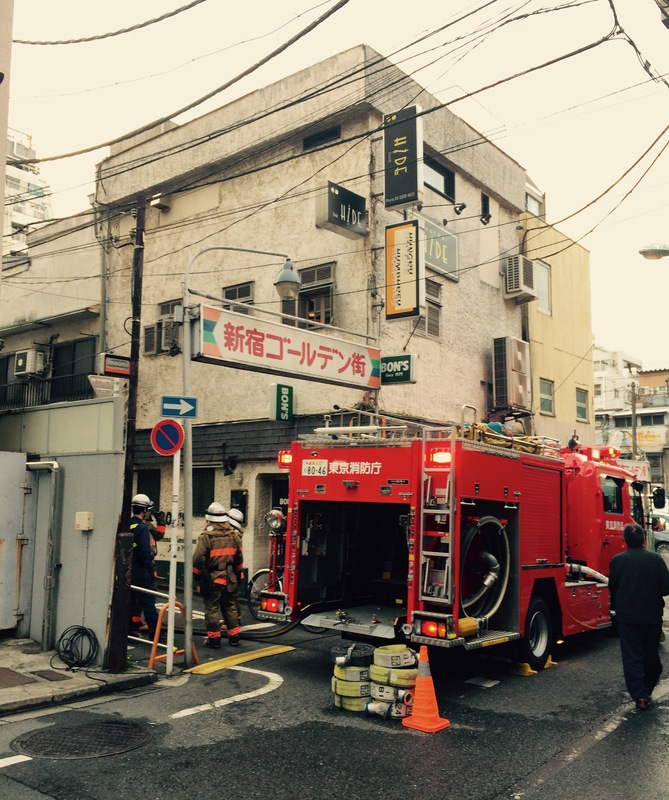 Tokyo Electric Power Co. said about 500 buildings in the area lost power at around 1:35 p.m. 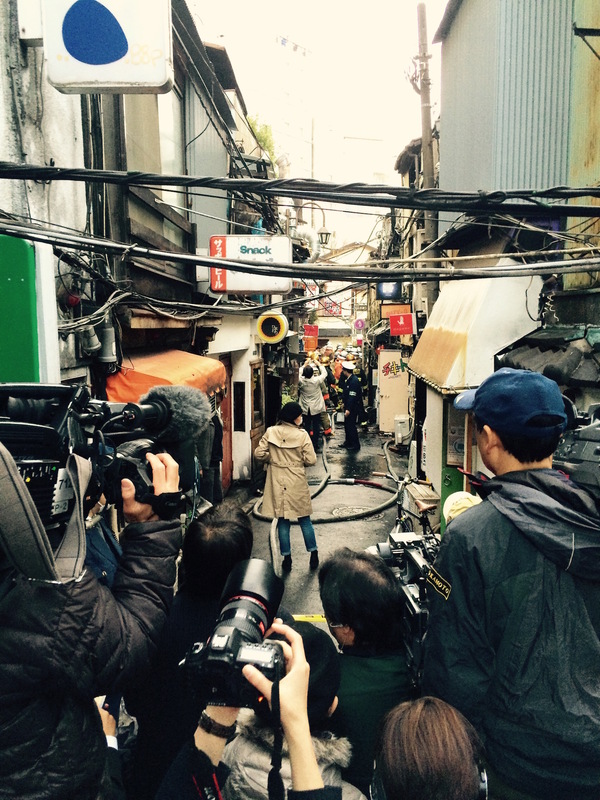 The area, popular with artists and tourists, is about 500 meters northeast of JR Shinjuku Station. TV news footage showed plumes of smoke billowing from the scene, where crowds of people had converged to watch the drama unfold. “I went outside because we were told to evacuate. I was shocked to see the entire place covered in smoke,” said a 19-year-old worker at a nearby restaurant. The historic nightlife area, which contains almost 300 bars, is also frequented by celebrities. 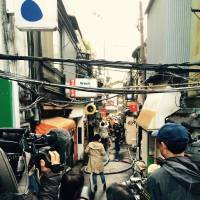 Young artists have long converged at Golden Gai, and many subcultures and underground art scenes were born in the district.